The year 2009 not only marked the centenary of the Port of London Authority, but also the 450th anniversary of the Elizabethan Port Reforms that established the shape of working London’s harbour until the 19th century. To celebrate this, a conference presenting an overview of the Tudor Port was held at the Museum of London, Docklands and the papers presented are available online via the Gresham College website. You can listen to the lectures online, check out the powerpoint presentations or download the videos! Experts including Gustav Milne, Jens Auer, Damian Goodburn and the late Geoff Egan spoke on a range of subjects including the topography and archaeology of the Tudor Port, vessels of the Elizabethan period and the artefacts discovered in excavations across London, which give us an insight into the lives of men like Sir Thomas Gresham. 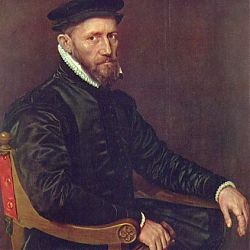 Sir Thomas was a famous Elizabethan financier and founded the Royal Exchange in 1565. His fine mansion in Bishopsgate was the first home of Gresham College, and it was there that the Professors gave their lectures until 1768. Sir Thomas left his estate and control of his benefaction to the City of London Corporation and the Mercers’ Company, and the college which now bears his name is an independent institution, governed by a Council, with the Lord Mayor of London as its President. 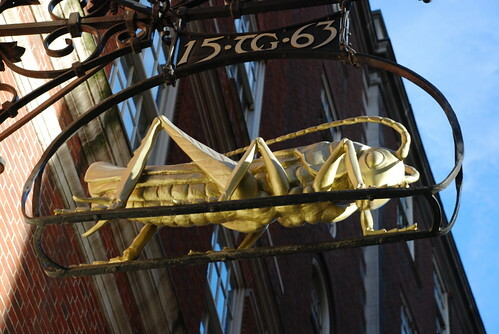 For over 400 years Gresham Professors have given free public lectures in the City of London. Additionally, the College runs seminars and conferences, and provides support to initiatives by the Gresham Professors and others which seek to reinterpret the New Learning of Sir Thomas’ time in contemporary terms. 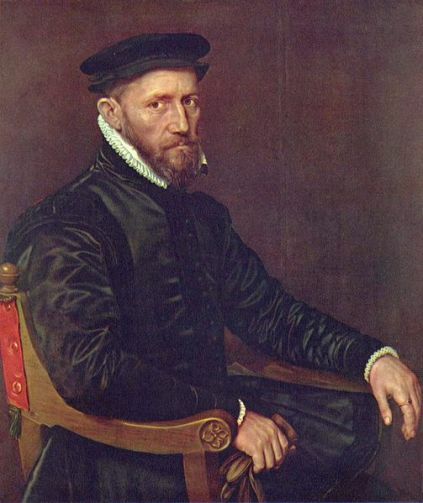 The Thames Discovery Programme has close links with Sir Thomas Gresham through TDP Director Gustav Milne’s involvement with Gresham Ship Project. In 2003, the Port of London Authority uncovered part of a ship while clearing the Princes Channel, in the River Thames. Working with the PLA, maritime archaeologists from Wessex Archaeology recorded substantial sections of the vessel, and recovered a number of artefacts associated with it, including a cannon which bore the initials ‘TG’ and a grasshopper motif, the Gresham family crest.